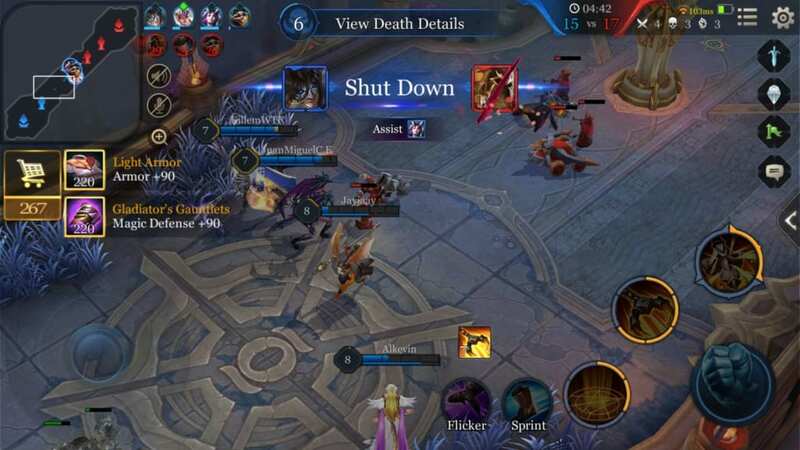 Arena of Valor offers maps and modes other than Horizon Valley to play on: Valley Skirmish, Abyssal Clash, Solo Battle, and Hook Wars. From gold bounties to regenerative effects, we explain how each mode differs so you aren't clueless heading in. 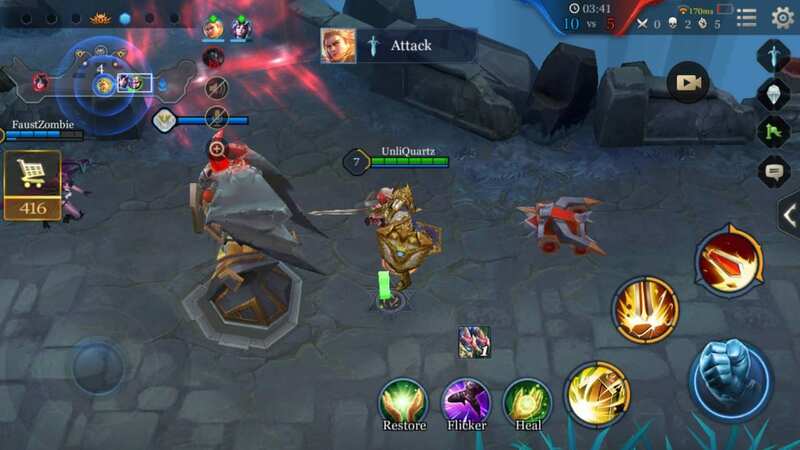 Aside from the traditional five-on-five matches, Arena of Valor offers a number of other game modes. These can be a great way to freshen up a player’s experience, often relying on completely different strategies and builds than normal matches. Players looking for a shorter or more casual experience than what Grand Battles offer should try Valley Skirmish. Instead of the five on five team game play of normal matches, Valley Skirmish pits teams of three against one another. Games tend to be quite a bit shorter than five on five battles, usually lasting between five to ten minutes. Flatland Battlefield is smaller than Horizon Valley; consisting of only a single lane and a small jungle, team fights will be very common. Players start the game at level three with 1000 gold. In addition, players gain six gold a second rather than the usual one, and bounties received from minions and monsters are nearly doubled. This can make staying near minions rather important, players needing a way to get an edge over their enemies. In addition, all of these boosts cause matches to have a very fast pace, as heroes are able to reach level fifteen and a full item set much faster than they would in a standard match. The jungle sits above the lane, home to four basic monster camps and a single epic beast. Each half of the jungle contains a single low-level monster camp as well as a sage golem camp. The epic creature living at the top of all of this is called the Garnak. Much like the Abyssal Dragon, slaying this beast grants the slaying team a special buff. 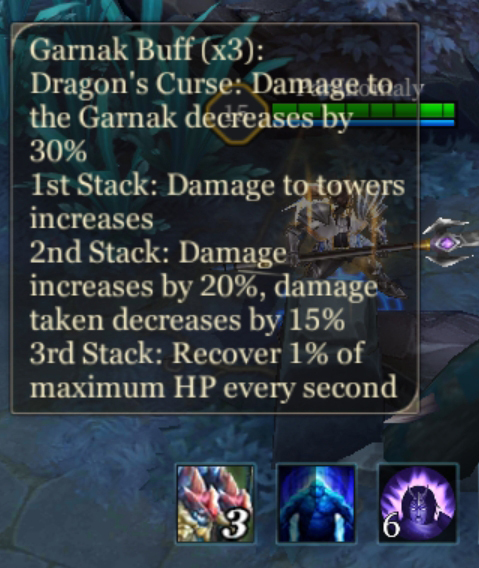 The Garnak’s buff is permanent and can gain up to two additional effects each time the Garnak is killed. 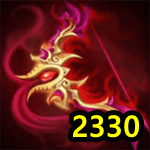 The first rank of the buff grants a damage boost when attacking buildings. The damage boost can be invaluable when trying to tear down the enemy’s tower while trading damage. Next, the second level gives the team a 20% damage boost and a 15% protection from outside damage. Your team will become a deadly force with this buff, able to cut through the enemies exceptionally easily. Last, the third rank grants a constant health regeneration effect. If the other two buffs weren’t enough, the health regeneration will allow your team to wear out the enemies’ health without large losses to their own. While these buffs are very powerful, they also lower the amount of damage done to the Garnak by 30%. Future hunts will be more difficult, and enemies without this damage reduction will have an easy time stealing the kill. The Garnak respawns a minute after being slain, notifying all players on the minimap with an alert. Outside of the main jungle entrances at the center of the lane, each team also has their own private entrance into the jungle. A quarter of the way down either side of the lane is a diagonal route blocked by a fence. Players can only pass through their team’s gate. This applies to both walking and movement abilities. As this is completely blocked to enemies, it can be a useful tool in either escaping fights or moving safely around the map. A speed boost sits at the bottom of the jungle, taking the appearance of a rotating boot. Touching this will give the character a boost of movement speed. This boost can be critical in chasing or escaping enemies. The boot will respawn 30 seconds after being used. The lane is very similar to those found in Grand Battles. The most notable difference is that a single tower stands to defend its team’s base rather than three. It serves the same function of protecting the core and providing some relief to allied heroes in lane. 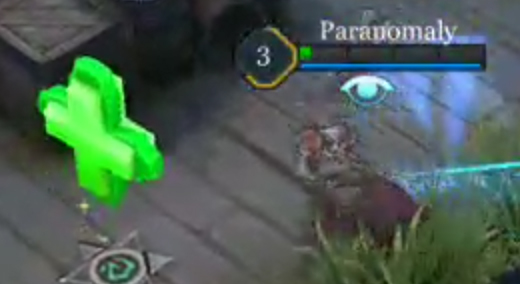 It will additionally grant super minions to the opposing team after it is destroyed, so keeping it safe is an important part of winning a match. 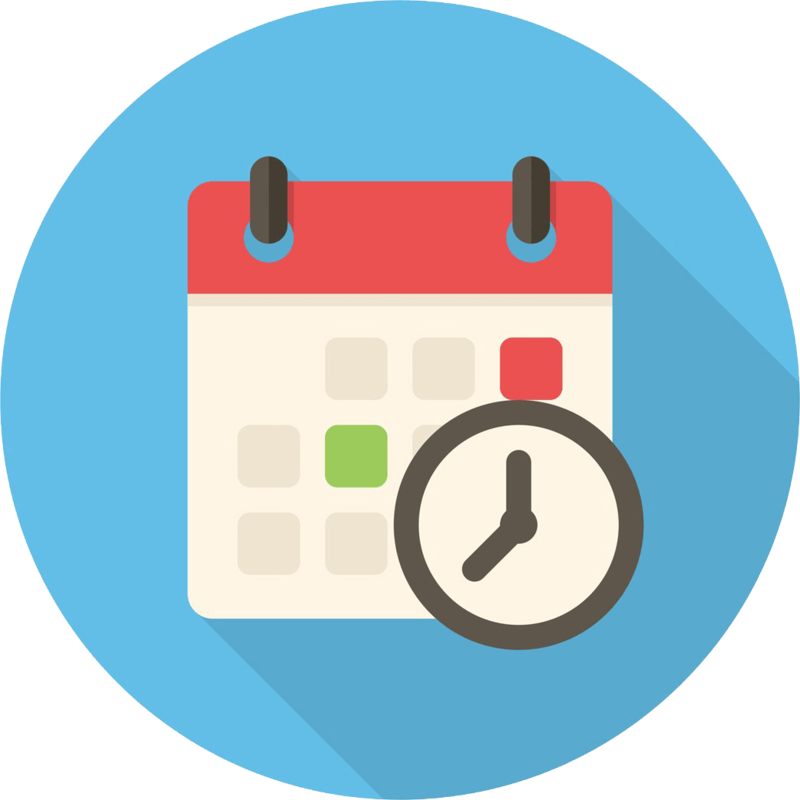 Valley Skirmish matches are considerably shorter than five on five matches, so the rewards for completing one are smaller as a result. 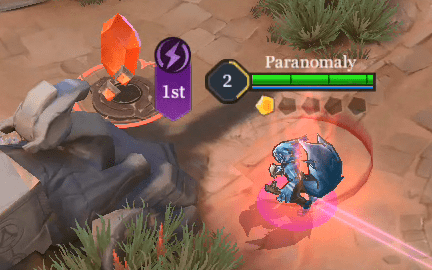 Gold and experience gains are influenced by the amount of time that a match takes, so do not expect this mode to act as a way to grind out quick gold or experience. Abyssal Clash throws out the meta strategy of other game modes, cramming two teams of five into a single lane. The signature characteristic of this mode is that players are assigned a random hero rather than being able to pick one themselves. Players can re-roll once for a different random hero for free, but every subsequent re-roll costs an increasing amount of gems. 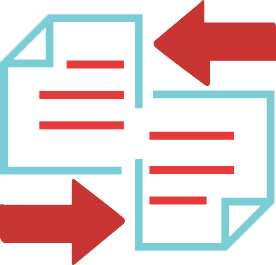 The randomization can lead to meta defying or otherwise ridiculous team compositions, making matches frantic and unpredictable. Abyssal Clash puts a unique set of restrictions on the shop. Players are only able to purchase items while deceased and waiting to respawn, the ability vanishing as soon as they leave their team’s base. In addition, team bases do not heal heroes who stand within them. This limits the options that players have for regenerating after fights and leads to some long battles of attrition. Items that regenerate HP and mana, like Phoenix Tear and Pendant of Faith, are thus popular picks in this mode. 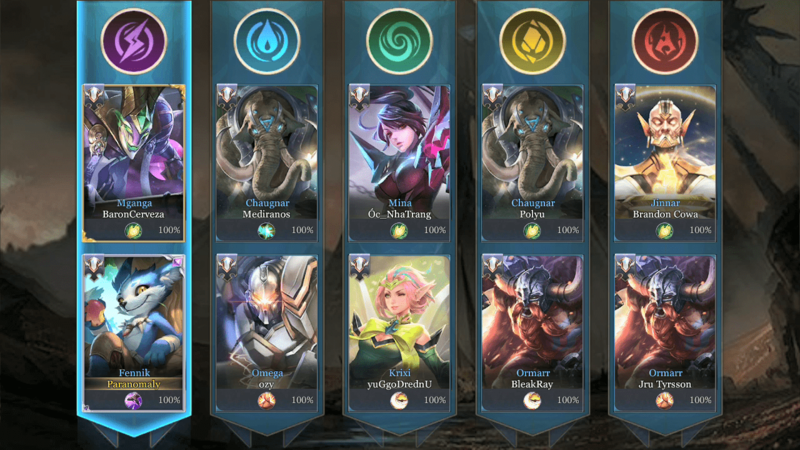 Heal is by far the most picked talent, as you are constantly grouped with your team (Flicker is provided in place of Restore for all players). Only through death am I truly able to accessorize. Behind each turret is a health pack similar to those found in standard five on five matches. 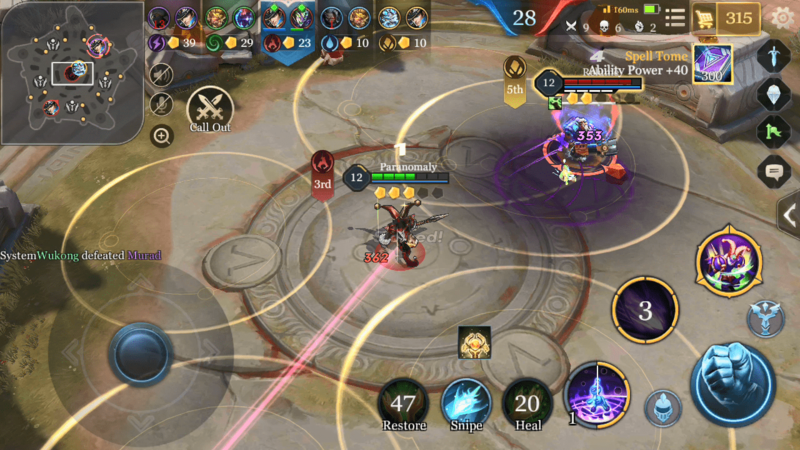 While the health packs in Grand Battles provide a regenerative effect, those found in Abyssal Clash give the player an instant burst of health. The amount healed is based on the hero’s level, starting at 500 and increasing by 50 each time a hero levels up. Experience and gold gains are heavily accelerated in this mode. Players gain four gold per second rather than the ordinary single gold every second. 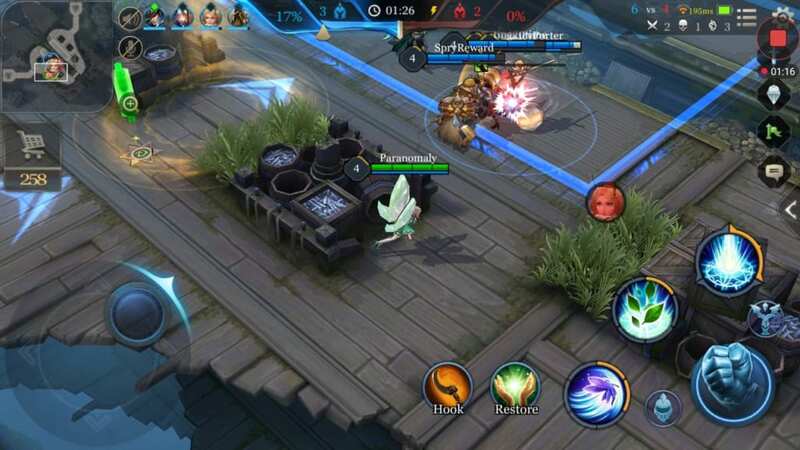 Last hitting minions will still only provide a bounty similar to those of Horizon Valley, however, ensuring the match’s focus remains on team fighting. If frustrated by having to rely on teammates or wanting to square off against someone one on one, try out Solo Battle. 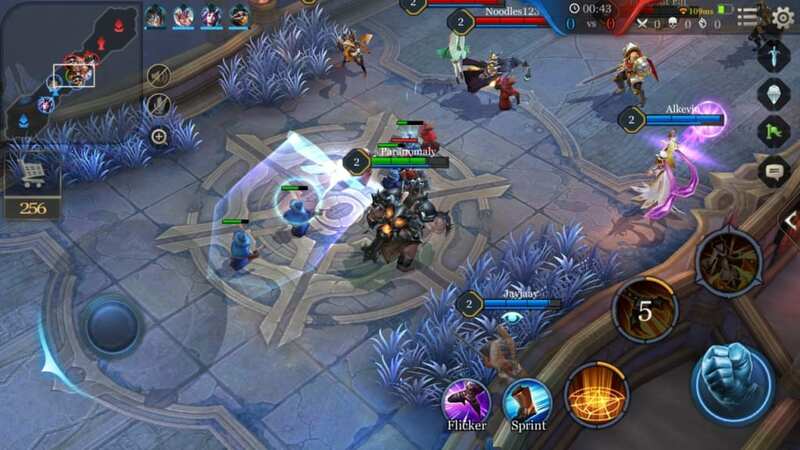 Players are placed on a single lane battlefield similar to that of Abyssal Clash. 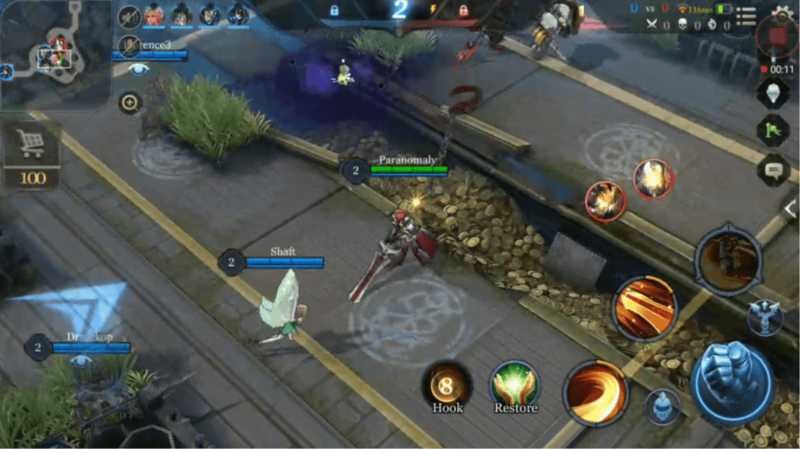 Unlike Abyssal Clash, however, players are able to choose their hero, heal at their spawn point, and buy items throughout the match. 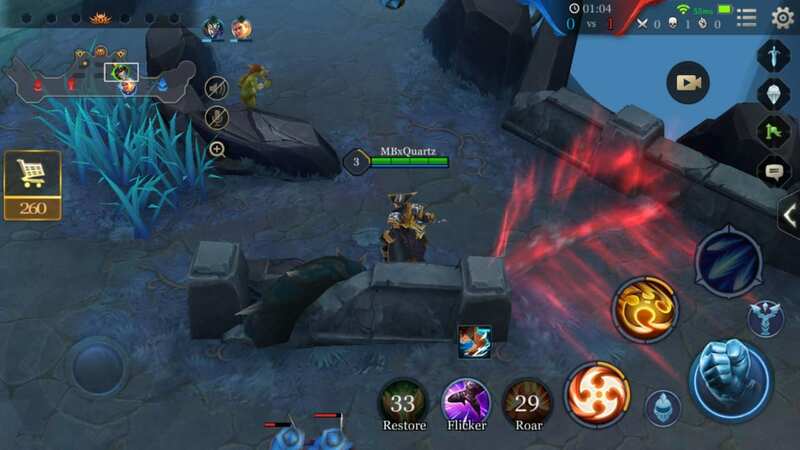 Additionally, each side of the lane is only defended by a single tower and there is just one health pack on the field. Experience gains and kill bounties are increased in a manner similar to that of Valley Skirmish. Players aren’t as punished for farming as a result, able to reach a comfortable level before engaging. Guaranteed gold, however, has been completely removed, players only receiving gold from last hitting minions and killing their opponent. Hook Wars is a unique game mode. Rather than trying to destroy the enemies’ Core, teams vie for control of a section on the map in a King of the Hill style game mode. 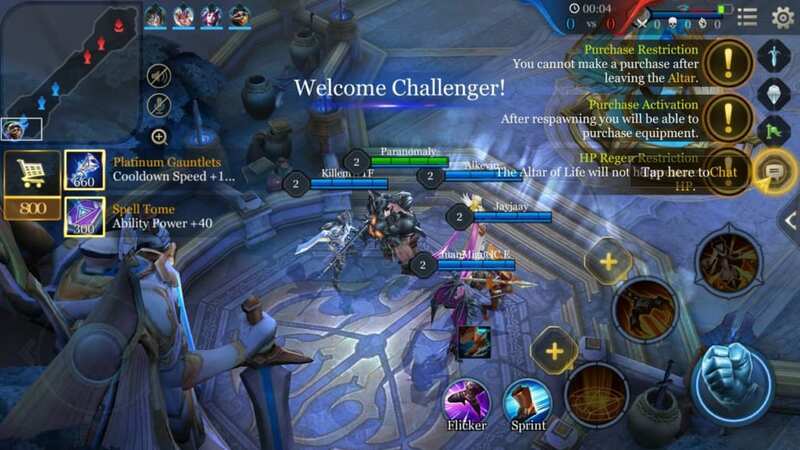 Gameplay has a much faster pace than other game modes, experience and gold gains accelerated to allow for quick matches. 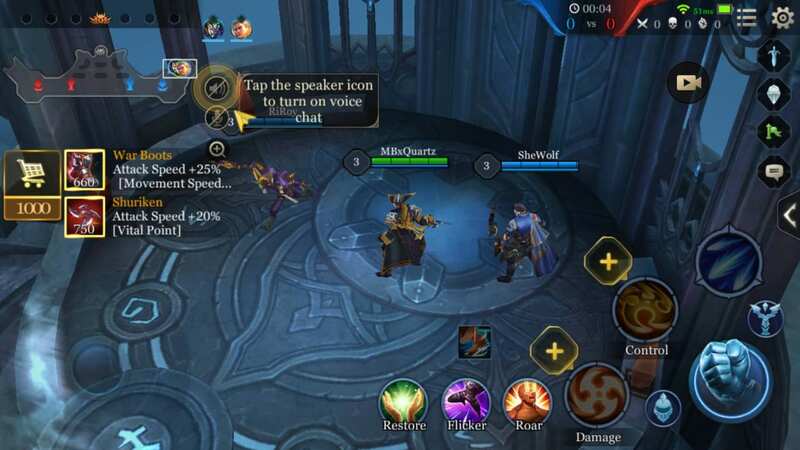 This mode is only available on the weekends, so players wanting to participate will have to time their play accordingly. Hook Wars takes place on a map called Tempest Bay. The battlefield has a unique shape, resembling a split heart or a pair of lungs. The map is viewed diagonally, the center’s tilt depending on which side of the map the player spawns on. For the sake of this explanation, we will be referring to the map as if viewed straight on. The most notable feature of the map is the large divide that runs through the center. This ditch can only be crossed by a single small bridge near the bottom of the map. 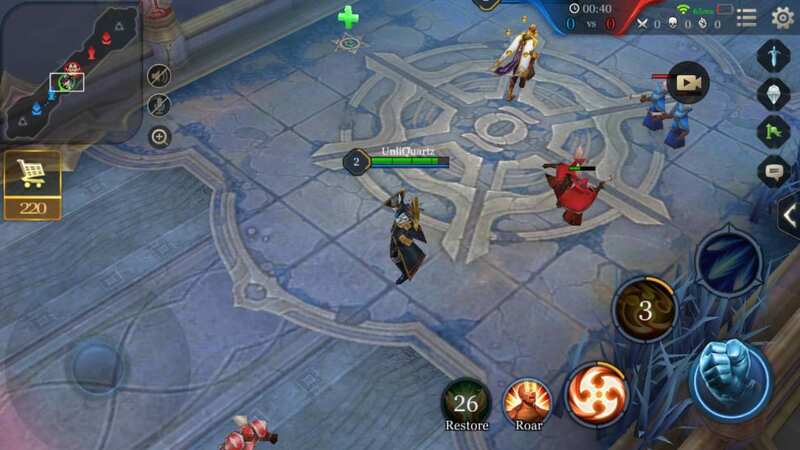 More important to the match is a large area at the top of the map, spanning both sides in equal amount. Teams gain points by holding control of this area of the map. Control can be gained by having more heroes present within the area than the enemy team. Being separated from the enemies could make whittling down their numbers rather difficult were it not for the signature ability of this mode: hooks. 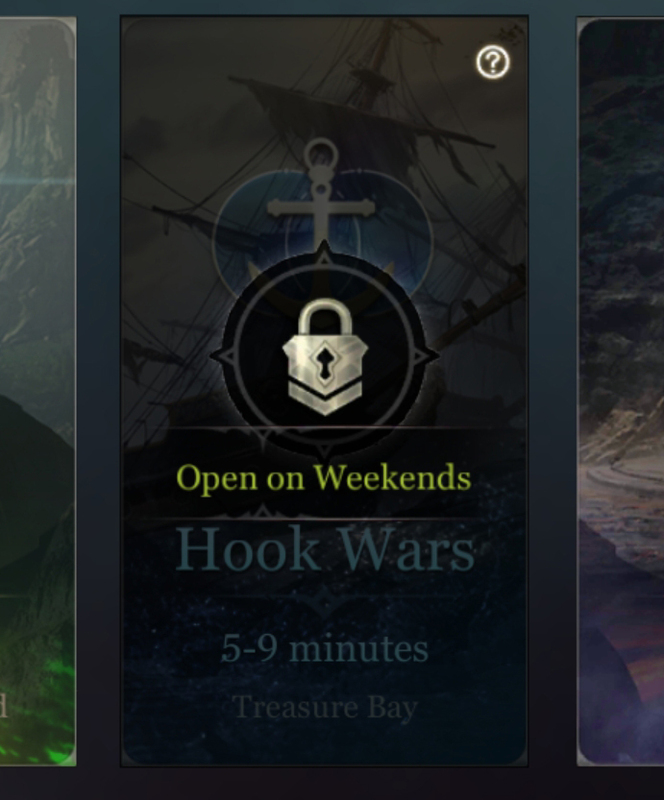 Each player has access to a special talent in this mode: hook. Hook works similarly to Grakk’s Devil Chain ability. Casting the talent shoots out a chain which damages, reels in, and stuns the first enemy it strikes. The talent deals more damage and stuns for longer the further it travels. Heroes fight by hooking and yanking enemies across the ravine to then ambush with their team. As mentioned before, players win the game by keeping control of a highlighted area at the top of the map. Whichever team has more players in the area will hold the area. 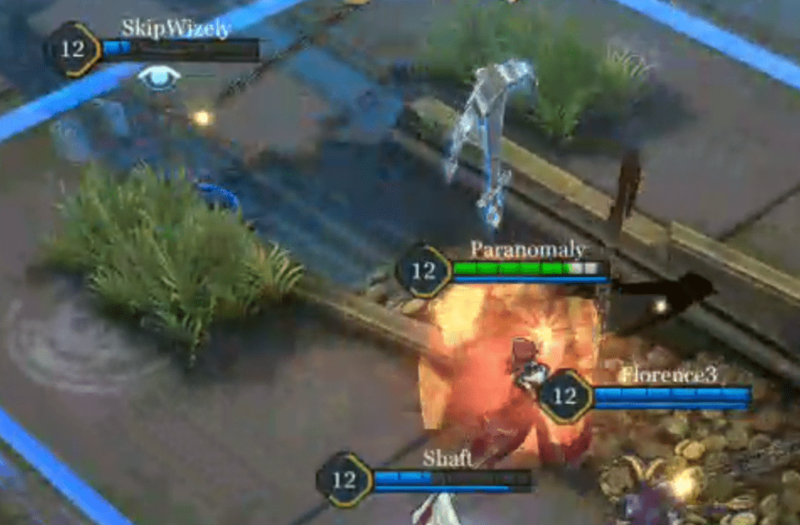 The number of players each team has in the control zone can be seen through a pair of counters at the top of the screen. Tipping the numbers into a team’s favor will not immediately grant them control, however. A team’s influence over the control zone is represented by a slider at the bottom of the scoreboard. Getting more heroes in the zone than your opponents will shift the slider in your team’s favor. The bigger the difference between the two teams, the faster the slider moves to the team’s side. The game ends whenever a team is able to build their counter to 100%. The rate at which the counter builds increases every three minutes to prevent matches from stagnating. A single plank at the top of the map sits between the two lanes. 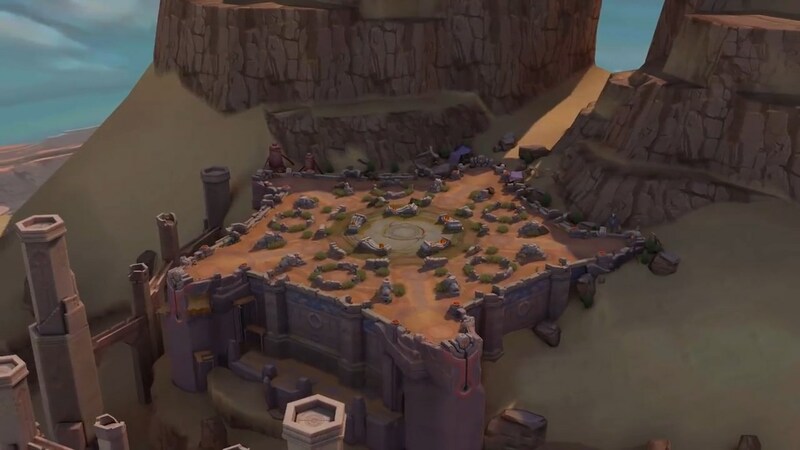 A chest will periodically spawn here, open for attack from either team. Whichever team slays the chest will gain a speed buff along with a small bounty of gold. 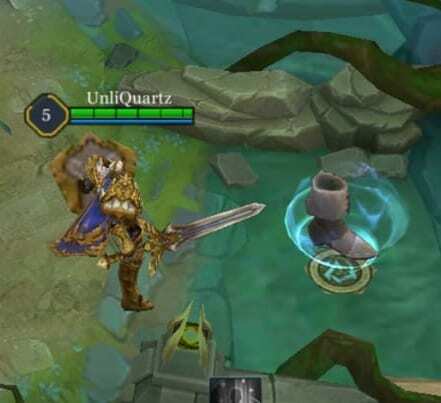 An anchor: Giant Hook – This will increase the size of your hook, making it much easier to strike opponents. A hook with a red aura: Blood Hook – Striking an enemy will heal the caster along with its usual effects. A hook with flames: Fire Hook – The enchanted hook will leave a trail of fire as it moves, slowing and damaging enemies who step atop it. A coin – A bounty of gold. There are also a pair of health packs on each side of the map, each side holding one smaller health pack and a single, unique, large health pack. These provide instant bursts of life that scale with the hero’s level, similar to those found in Abyssal Clash or Solo Battle. Of game types available, Death Match resembles the standard mode the least. Rather than two teams of five competing to destroy the other’s core, five teams of two compete to lead the game in points. Points are earned solely through the slaying of opposing players, heroes increasing in value as their kill streak increases. As the objective isn’t a single action as in Grand Battles, matches are on an eight-minute timer. Whichever team has the highest score at the end of the match wins. Generally, if there is a tie, whichever team reached the score first wins. Death Match’s battlefield is pentagonal with a small alcove at each of the pentagram’s corners. Each fifth of the map is radially symmetrical, players always perceiving themselves as starting from the map’s bottom left corner. In the center of the map is a large open area where a number of gold rings will spawn and randomly rearrange themselves. Each team’s spawn point is surrounded by four Elemental Stones that respawn two minutes after destruction. Destroying these crystals will grant the destroyer a bounty of gold and experience along with the chance of receiving a large damage buff. These span two minutes after destruction and can be instrumental in giving players the boost they need to take the lead. At the center of the map is a large open area with a number of gold granting bonuses. All players within the pit are visible to all other players, no matter how far away they are. A collection of gold rings can be seen on the pit’s floor. These rings grant a small, continual bonus of gold to heroes standing within them. Should two of these rings overlap, players can receive the bonus gold from both. This creates several areas of contention on the field, players fighting to be the only one to benefit from the bonus. These rings change location randomly every thirty seconds. Along with these rings are a number of Elemental Beasts. These creatures cannot be attacked, but touching them will cause them to flee and grant the toucher a large chunk of gold. As these can only benefit a single person, it is important to tag any that you can before enemies. This is to ensure a gold lead which will result in an advantage in power. A pair of golems will periodically appear on the field, starting at the six-minute mark. These powerful creatures will grant whoever slays them a bounty of gold and experience along with a two minute Ancestral Guardian effect. This can be huge in gaining points safely and thereby is often fiercely contested. Golems will respawn on the battlefield 1:10 after the last golem is killed. To ensure that as many heroes as possible can be effectively used in this game mode, a number of buffs and debuffs have been applied to heroes based on their class. These can all be seen below. 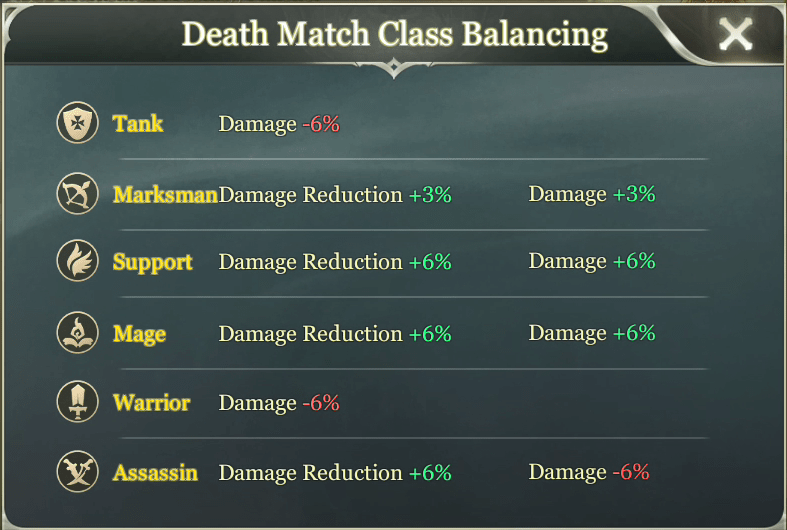 Note that these do not stack should a character have a sub-class. Such characters will simply take the buff/debuff of their primary class. In addition to this, players are granted a special Talent for the mode: Snipe. 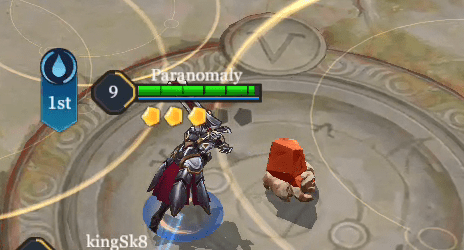 This Talent functions like a low-powered version of Yorn’s ultimate. A long range arrow will travel from the player and damage the first enemy it strikes.